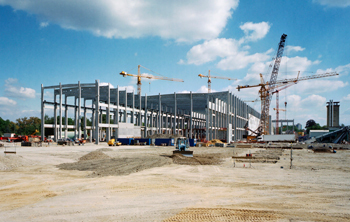 XPro Commercial is a mid-sized project management firm serving the Southeastern states. XPro offers developers, general contractors, architects, building owners and property managers a competitive and economical option to traditional contracting firms. Our medium size allows us to employ the best field staff and work with predominant sub-contractors while maintaining a personal interest in each client’s project. XPro’s principals are involved at all stages of the project, fostering a collaborative atmosphere of maximizing our client’s wealth which promotes completion of projects on time and within the authorized budgets. When you choose XPro Commercial you will understand why it is Where Innovation Gets Built.